We have the technology for high-purity refining of manganese ore.
We conduct the thorough removal of alkaline metals and alkaline earth metals by crystallization and recrystallization processes. We also produce low-iron, low-alkaline earth materials for achieving high purity. We also produce materials with the average particle diameter not exceeding 10 micrometers or 1 micrometer, for reducing the size of electronic parts. 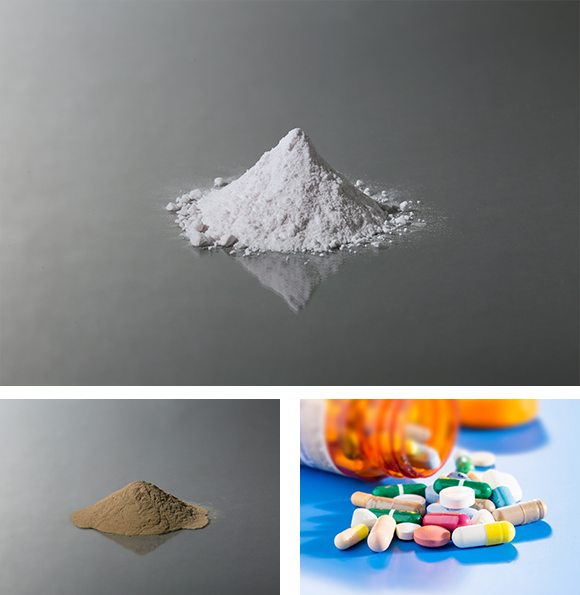 We produce manganese dioxide with superior activation features using our original reactions. Below are examples of deodorizing features by manganese inorganic chemical products. We also develop products with a deodorizing effect that exceeds that of activated carbon, which are widely used as deodorants.